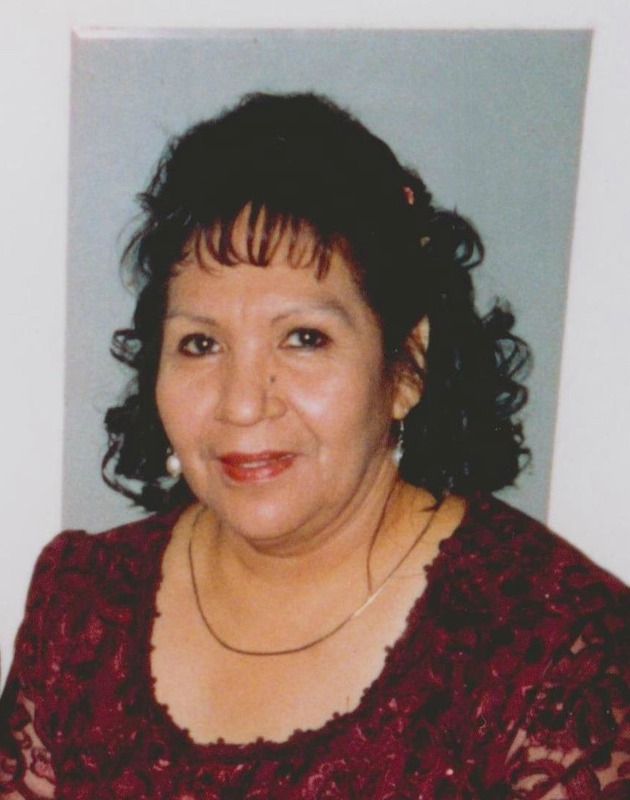 Beverly Jean Juan, a devoted wife, mom, grandma, great grandma, sister, sister in law, cousin, auntie and friend was called home on July 9, 2015 at the age of 70 in Glendale, Arizona. She was born January 22, 1945 in Sacaton, Arizona to Jason Manuel and Gretta Meyers. On August 27, 1963, Beverly enlisted in the United States Army and trained as a Medical Lab Processor. She was stationed at Fort Leonardwood in Missouri. Beverly was honorably discharged on April 22, 1965. On January 15, 1970, Beverly married her forever sweetheart Felix Juan in Phoenix Arizona, where they raised their two sons. Beverly began her career as a Licensed Practical Nurse at Phoenix Indian Health Services. To further her career in Health Information Technology, Beverly attended Phoenix College, graduating with an Associate’s Degree in Applied Science in Health Information Technology. Beverly was an active member of First Indian Baptist Church serving the Lord in many areas of ministries. Of all the callings in life, she loved being a grandma and great-grandma the most. She is survived by her husband Felix Juan; sons Gary D Manuel Sr., and Darrin M Juan; four grandchildren and 4 great-grandchildren; brothers Marshall Phillips, Russell (Josephine) Phillips and Brady (Delberta) Phillips; as well as many nieces and nephews. She is preceded in death by her mother Gretta Meyers; grandson Vincent R Manuel; brothers, Vernon Manuel, Milton and David Phillips, Charlie and Butch Donahue. Funeral services will be held Wednesday July 15, 2015 at 7 p.m. at the First Indian Baptist Church located at 2205 West Georgia Avenue Phoenix, Arizona 85015. A viewing will be held prior to the funeral service from 6 p.m. to 7 p.m. A fellowship meal will follow. Felix, Beverly will surely be missed by many. However we can rejoice because she is now rejoicing with our Lord. We will be praying for you and the family. Much love. The Falls, Emerson, Shirley, Shear, and RC. To Mrs. Juan’s family, I’m very sorry for your loss. It’s my hope that you can draw comfort and strength from Jehovah God’s promises in the Bible at Revelation 21: 3, 4 and John 5: 28, 29 that there will soon be a time when there will be no more death, and we will see our dead loved ones again. Please accept my deepest condolences.